As a teenager, I loved the O. Henry story “The Gift of the Magi” because, like Whitney Houston’s song, it symbolized love as “the greatest gift of all.” Now, after 70+ years, I know that love can manifest itself in several ways, including the love one has for a spouse, a partner, a child and grandchild, and a friend. This became so clear to me last week when I returned my childhood home, Dallas, Texas, for the funeral of my close friend of more than 60 years, Dr. Richard Louis Cole. For more than six decades we have shared hopes, aspirations and life experiences. I said at the funeral that it gave me a little comfort knowing that there were things in my life I wanted to be kept secret, things only Richard knew. Now, a sigh of relief, with Richard’s passing the world will never know. 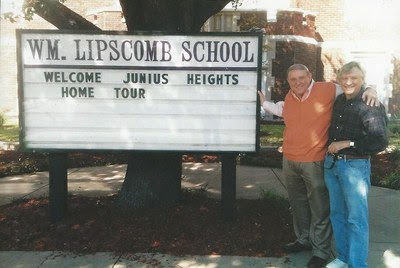 Our road together began at JL Long Junior High and at St. John’s Methodist Church near my home. Richard’s family were members and I became a regular at their youth group. As high school seniors, Richard and I led the junior high group, and while the members liked our interest and dedication, they felt we focused too much on fun and not enough on religious education. And there was the time we let the group “toilet paper” their Sunday school teacher’s house. Lots of folks were not pleased with that activity. 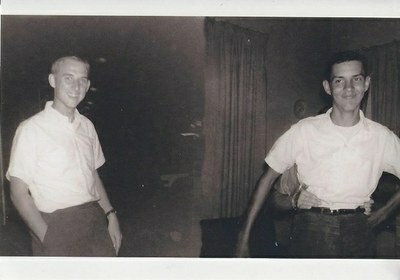 In high school we sometimes had a double date, and sometimes he was out with his other close friends and I with mine. I was a year ahead of Richard in school, but on “date night” we always met afterwards at the church parking lot and went for “midnight Mexican food” at El Fenix Restaurant in Lakewood Village. On the way to the restaurant, as we shared stories, we made “the run.” We would travel down the same path to check out who of our friends (and girls) were in or out. We talked about many things during the run, but I never recall discussing careers. However, it interested and pleased me that we both became academics. Later in life, we both lived in DC at the same time. Richard was a professor at George Washington University, and I an administrator at Northern Virginia Community College and Montgomery College in Maryland. It was a time in our lives when we spent much time together. I share this story with our students to encourage you to cherish and hold dear to those high school and RCC friendships. These bonds can be an anchor as you move through life. In a world of constant change, they can be what is consistent and reassuring. While I knew Richard as simply my friend, he was known to the world as a highly respected teacher, administrator and writer. The minister at Richard’s funeral talked of the many ways in which people experience God, and how God is defined. She indicated that one prominent theologian said “God is the guardian of my deepest spirit.” I found mine in Richard and I hope life delivers one to you.